No travel itinerary is perfect. No matter how much you planned for your trip, there will always be tiny loopholes and things that you’ll miss out. Nevertheless, travelling will always be about risks and uncertainties and the main goal is to enjoy the journey and come back home safe. 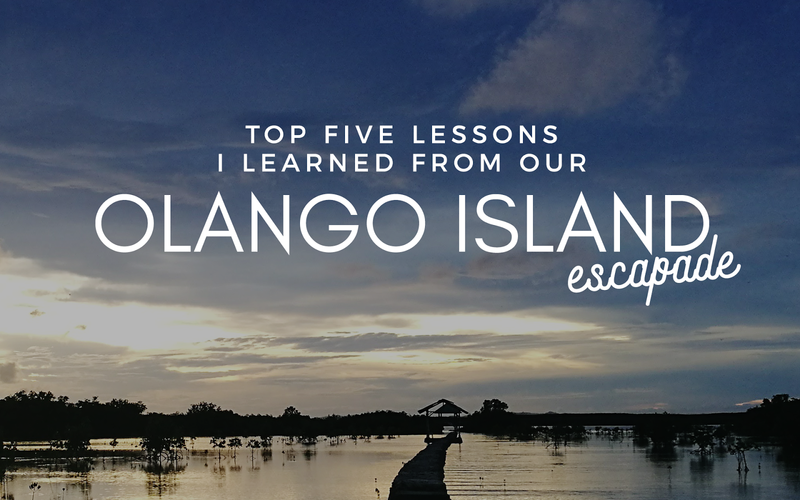 Now that a new year has come, I looked back to the trip Mel and I had last November 2016 at Olango Island and learned important lessons that I will surely take with me in my travels this 2017 and in the coming days, weeks, months, and years. That trip was honestly one of the scariest I experienced (as of today) but also one of the most memorable and quite life-changing. So here, I will be sharing to you the top five lessons I learned during that weekend trip. 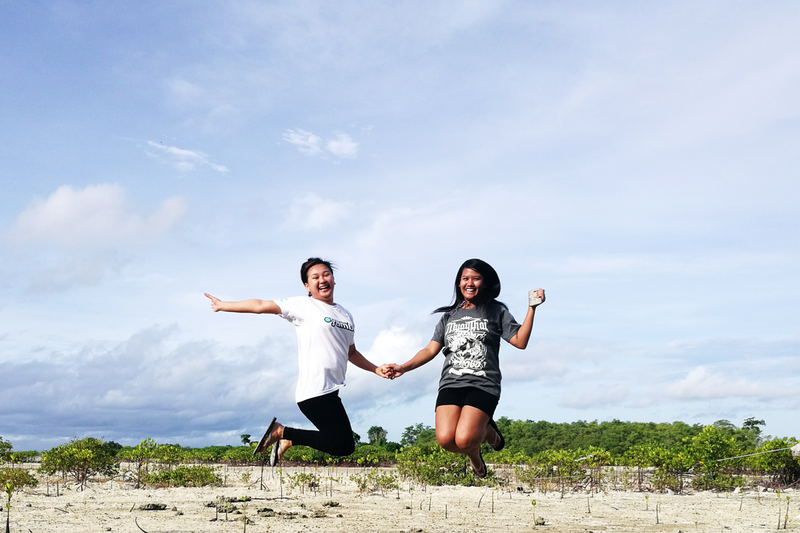 Before we went to our Olango Island trip, we initially meant to achieve camping at Asinan Eco-Tourism Park since I read it on Hey, Miss Adventures! blog. Everything was coming into place that day until we went into the road going to the eco-park which had zero lights, except the trike’s head lights, so we turned our phones’ flashlights on just to see where we were going. That was then I was relieved that Kuya RR was trustworthy enough but I was still worried because what if what he said was true and we had nowhere else to go. We answered Kuya RR and said let’s see if we can really camp there. When we arrived at Asinan Eco-Park it was very dark and the office was near at the entrance gate while the camping place was indeed quite far. We called out for the staff to know that we were there but nobody answered. And when we saw several men by the side, we asked Kuya RR to turn around and go. While on our way back, I was already crying inside because I had no idea where we were going to stay for the night and I was much more worried since I dragged Mel into this trip and I wanted her to come home safe. 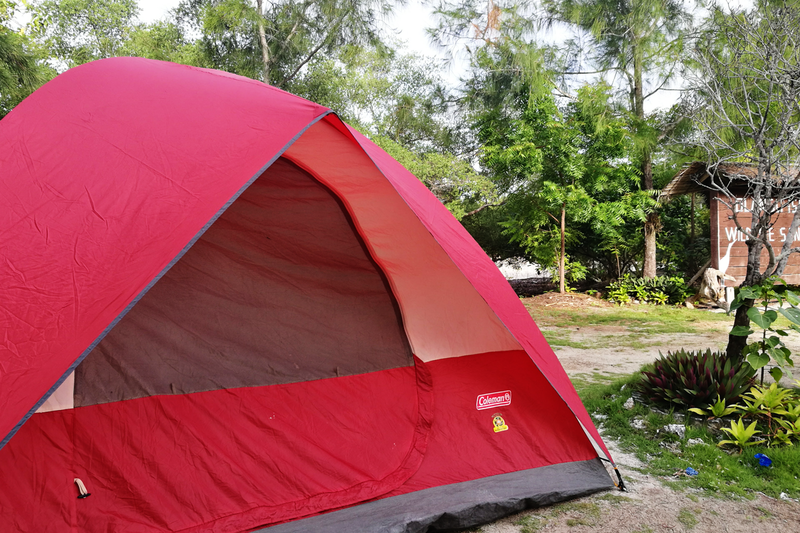 Fortunately, Kuya RR offered that if we really wanted to camp, we can go instead to the Bird Sanctuary since the place is much safer and the staff in charge that night was his friend. We immediately said yes hoping that the sanctuary was indeed a much better place. So, if you really want to try camping at Asinan Eco-Tourism Park, go with a large group of people and drag your guy friends (that you can trust) with you. Anyone goes in and out at Asinan Eco-Park based on what we experienced and you can’t really know if the staff in charge are going to be there all night so the place is totally not safe. As I mentioned above, we had no idea where else to go because we were really determined to camp at Asinan Eco-Tourism Park. Unfortunately, there will always be things that you can’t foresee and unfavorable happenings occur so it is always better to prepare a Plan B in case Plan A fails. It is much better to be cautious to be safe than to push things through and be at risk. We were just so grateful that Kuya RR was there to offer us the Plan B.
I have always been vocal about not being interested in solo travel because it terrifies me. A company of one or two is preferable for me. But travelling in a group can be more fun too! Not only will it save you more from the expenses but it will also put you more at ease when going to unfamiliar remote places and lesser risk. There is always safety in numbers. But then again, it’s best when you go with people you’re familiar and comfortable with and most especially people you can trust. While we were on our way to the eco-park we stopped by a store to buy dinner and we bought barbecue sticks since we were planning to have a bonfire and cook some marshmallows by the fire. When we arrived at the Bird Sanctuary (after our Plan A failed) and the staff in charge (I forgot Kuya’s name) finished setting up our tent, we went in and tried to sleep after an exhausting day. Lastly, the most important lesson I learned from that roller coaster Olango Island experience, is that there is always a good Samaritan wherever we go. We may not notice it but there is always one out there. Kuya RR was our good Samaritan during that trip. We couldn’t thank him enough for being so kind to us and for offering his genuine help. I kept telling Mel what if we haven’t met him at the Fish Sanctuary? We could’ve biked our way to Candagsao to return our bikes and we could’ve been two lost girls looking for a place to stay if not for him. 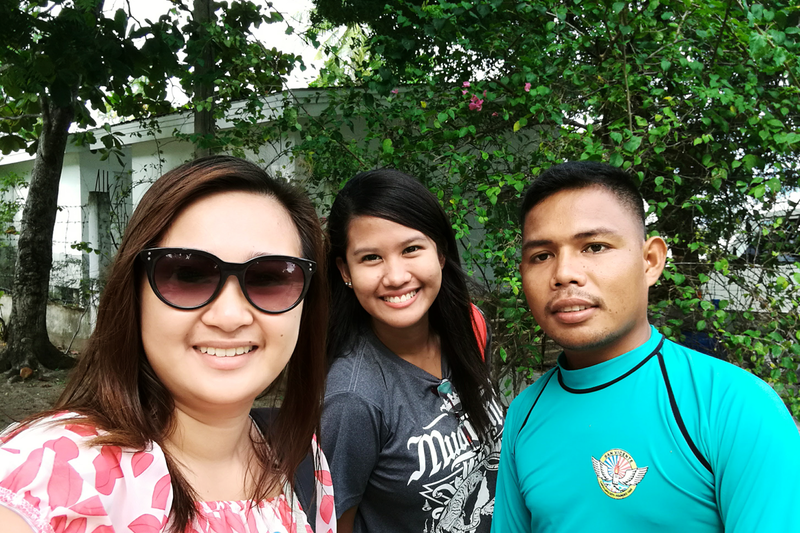 We met Kuya RR when we arrived at the Fish Sanctuary. When we parked our bikes, he asked us, "Nag bike ramo padung dire Ma'am? Unya mag bike sad mo padung uli?" (Did you bike your way here Ma'am? And are you going back with those bikes too?) We told Kuya RR that maybe we’ll just ride a tricycle to return our bikes to Candagsao. He offered that he has a tricycle and charged us Php 100 only. We immediately agreed because it was cheap and the opportunity was already there. At first, we didn’t quite trust Kuya RR yet because of course he was a stranger. But we talked to him like we know him to put us both at ease. We even thanked him for offering the ride because we couldn’t imagine biking to Candagsao and the road going there was already dark. After returning our bikes, we asked Kuya RR to take us to Asinan Eco-Park. You can read our Asinan Eco-Park fail story on #1. LOL. Anyway, while our conversation kept going (from Fish Sanctuary to Candagsao to Asinan Eco-Park to Bird Sanctuary), we learned that Kuya RR was a working student. He’s on his second year in Marine Engineering at University of Cebu and he works at the Fish Sanctuary during weekends to support his studies. Knowing Kuya RR was indeed a good guy made me trust him completely. 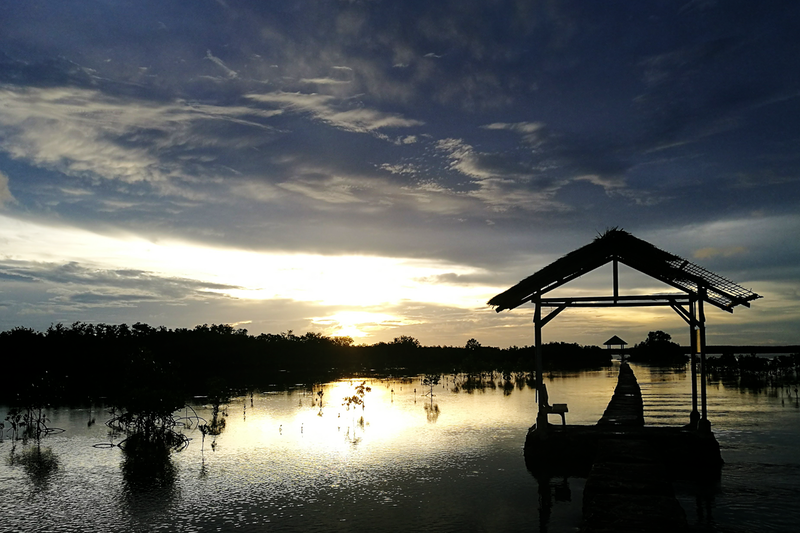 When we arrived at the Bird Sanctuary, we gave him Php 500 to cover our fare for that night and the next day. We asked Kuya RR to fetch us from the Bird Sanctuary the next day and take us to Casa Blanca and then to the port. Kuya RR even bought and cooked our saang breakfast. Kuya calculated all the expenses and he was planning to return the change but we refused. It was our way of paying him for his sincere kindness. Kuya RR thanked us but we thanked him more. We were also thankful with Kuya who was in charge at the Bird Sanctuary that night because he took us in even when it was already late. He and Kuya RR setup our tent and provided us folding beds to make sure we’d have a good night sleep. Jan, okay ra mag tent sa bird sanctuary? Safe ra? Mag overnight mis olango this weekend pero I don't know if asa mag stay nga mag tent lang ba.